If you have a C-section, for the next birth you can choose from having a VBAC delivery or another C-section. A while ago women didn’t have the possibility to have a vaginal birth after a C-section but these days this is possible. About 75% of the women who attempt a VBAC have a successful delivery. You should know that VBAC isn’t suitable for every woman. In some cases there is an underlying complication or a condition that makes it impossible for women to have a VBAC. Sometimes the hospitals don’t allow VBACs because they don’t have the equipment or the staff to handle an emergency C-section. The truth is that in case you have a VBAC, you have smaller chances of having an infection or serious blood loss than in case of another C-section. Nonetheless, if for some reason the VBAC isn’t successful, there is need for another C-section and this carries higher risks than a planned procedure. If you have a VBAC delivery, you will have to spend less time in hospital than in case you had another C-section. If you don’t have another surgery, you will have your stamina and energy back sooner and the childbirth will turn out to be less expensive because you need less medical care. Sometimes women find it important to have a vaginal birth after C-section because they want to have more participation in the process. If you have a VBAC you can hold your baby and feed him or her sooner than you could in case you had another C-section. In case you would like to have a large family, VBAC delivery is a better choice for you. This is because C-sections get more and more complicated, while the VBACs get easier every time you have it. Nonetheless in the end it is up to you to make the decision. 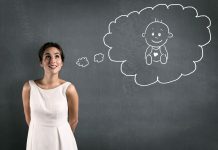 There are some situations when you have higher chances of having a successful vaginal birth after c-section such as if you had only one incision through the uterine wall and no other incisions. Also to have high chances both you and the baby are supposed to be healthy and the pregnancy should progress normally. When thinking about the VBAC delivery, the reason for which you had a C-section before shouldn’t be a problem this time. Also labor is supposed to begin naturally right around your due date. The chances are also higher if you had a previous successful vaginal birth. 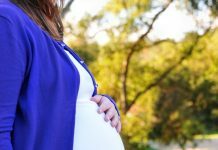 The chances of having a successful VBAC birth are quite low if your pregnancy goes on beyond your due date, if you have a large baby or if you had several C-sections but no vaginal births. You aren’t a good candidate for VBAC if you have any health conditions that could influence the delivery. You should discuss your chances of VBAC delivery with your health care provider.